Well Well 2012! Where Have You Been 2013? For the last post of the year, I want to first send a big THANK YOU for everyone who made my 2012. Yes you, the one who are reading this year-ender post. To all of you who have in one way or another have touched my life. And I am very happy where I have ended 2012 with a more than I expected and with a lot of wins more than the fails. Going back to school, winning raffles, receiving things from friends and events. 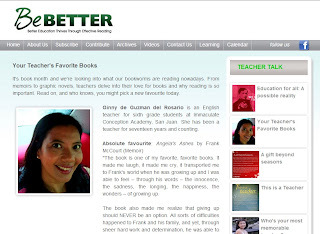 These things affirmed my faith, boosted my morale and even pushed me to be a better person. I do admit that there are still down times of sadness and sickness, but most of them actually provided an opportunity for recovery. RECOVERY, yes this is the word that I would describe 2012, as 2011 was one hell of a year and almost drove me crazy. Every year, hordes of Filipino families make the beeline to the Smart Araneta Coliseum to watch the latest Disney on Ice show. 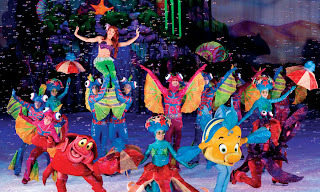 This year, from December 25 to January 3, 2012, expect the lines to get even longer because Disney on Ice presents “Princesses and Heroes”, a beautiful show that recreates defining moments when eight Disney princesses’ wishes are fulfilled with the help of their devoted princes. Ariel, Cinderella, Belle, Jasmine, Snow White, Sleeping Beauty, Rapunzel and Tiana enter a world where heroes and hearts prevail. But beyond the awesome and precise skating, the adventure of this ice-spectacle is magnified many times over because of the equally jaw-dropping sets. Education is also getting fast-paced with the access to the internet and also more affordable gadgets which gives more people a opportunity to own a laptop, a smartphone or a tablet. And from these technological breakthrough that one can also be utilized in teaching which can provide better learning experience and also more convenient for the teachers. Reading references and even novels (fiction or non-fiction) makes one's mind very active in thinking and processing a lot of information which one can also get techniques for teaching. Though I may not be an educator (yet), I have several relative who are and knew that this vocation is hard but rewarding in many ways. Having the right tools and information does make one more creative and also effective in schools. Christmas is a time of thanksgiving for a bountiful year that has been. And as Gadget Gambit (Gadgetgambit.com) celebrates being one of the top emerging blogs of 2012. The celebration was attended by the supporters of Gadget Gambit and also friends with the Blogger Manila Network. And Speaking of Blogger Manila which launched the Blogger Apprentice program last year and now on its second season. The search for the next blogger apprentice was a little different compared to last year. But the celebration also announce the top 3 blogger apprentice for this year. Exude grace under pressure on beTV this January! Dr. Dani Santino (Callie Thorne, Rescue Me) thought she had it all figured out: she had a beautiful home, a successful husband, two great teenaged kids, and a satisfying career as a psychotherapist until she caught her husband cheating on her. On the 2nd season of Necessary Roughness, Dani's perfect world begins to unravel as she is forced to find a way to keep her family, her finances, and her sanity intact following a divorce. She will be facing a whole new batch of issues to tackle, both personally and professionally as she becomes the most sought-after therapist for professional athletes and other high-profile personalities. She also starts a new relationship with Matt (Marc Blucas, Buffy the Vampire Slayer) and tries to keep her kids on track. Would she be able to hold it all together? Find out on Necessary Roughness every Monday and Tuesday starting January 21 at 8:30pm, first and exclusive on beTV. DreamWorks and 20th Century Fox unveil an extraordinary first in visual presentation – “The Croods” living poster is here: http://www.thecroodsmovie.com/motionposter/ Written and directed by two-time Academy Award® nominee Chris Sanders (How to Train Your Dragon, Lilo & Stitch) and Kirk DeMicco (Space Chimps) and produced by Kristine Belson (How to Train Your Dragon) and Jane Hartwell (Shrek), “The Croods” stars Nicolas Cage, Ryan Reynolds, Emma Stone, Catherine Keener, Clark Duke and Cloris Leachman. “ The Croods” is a comedy adventure that takes us back to a previously undiscovered era in the history of our planet known as the Croodaceous, when nature was still a work-in-progress... full of never-before- seen creatures and landscapes. 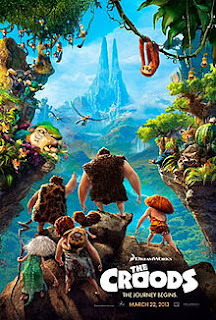 Audiences will relate to the hilarious family antics as an imaginative and resourceful newcomer helps the Croods navigate their way through the fantastic world beyond their cave. This Christmas, GMA Films will bring summer-level heat to the supposedly cool season as it ushers four lovely and gorgeous “sosy” ladies on to the big screen with “Sosy Problems,” its official entry to the 2012 Metro Manila Film Festival (MMFF). The light comedy movie stars Heart Evangelista, Solenn Heussaff, Bianca King and Rhian Ramos with Kapuso hunk Aljur Abrenica. “Sosy Problems,” which opened in nationwide theatres today, December 25, is about four rich and famous ladies and their seemingly trivial, but nevertheless, hilarious sources of stress. Their main problem, however, is that their favorite hangout place, The Polo Club, which reminds them of all the memories of their “firsts” in life – including their first kisses and love affairs – is in danger of being torn down and replaced with a mall that is not so much for the rich and famous: in other words, not a “sosy” mall. For the MMFF, I am interested with something unique for the season and Sosy Problems was one of them. They might be mistakenly compared to another MMFF movie Desperadas which is also a band of girls. But these girls are the super duper upper class ones with each having their own issues despite their wealth and social status. The movie stars Heart Evangelista, Solenn Heussaff, Bianca King and Rhian Ramos as the wealthy and "sosyal" ladies. Also in the cast are Cherie Gil, Agot Isidro, Mylene Dizon, Aljur Abrenica, Alden Richards, Mikael Daez, Tim Yap, and Ruffa Gutierrez. Though it may show their rich and lavish lifestyle, it shows an exaggerated yet entertaining execution of their ignorance and struggles despite having everything. With the people around them also causing their dilemmas, their world gets crazier and crazier. Thank You For Making My Christmas! Christmas has been very great for me this year and like I said that the year 2012 was a year of great opportunities and recovery. I got of material and educational blessings as I started going back to school and hopefully graduate this 2013. I just have to say thank you for the people and agencies who made my Christmas with these great gifts! First package I got this december was on 12-12-12 which I got a nice package from Lipton Tea. And yes its a box of teabags and flavors and useful items. I also shared them here with a mix I made and was promoted on the Lipton page! Just when you thought you’ve received all the gifts you want, The SM Store (Department Store Official Page) gives you more great finds of up to 50% off! Enjoy more holiday shopping at The SM Store YEAR-END SALE! Dec. 26-31 at all SM stores, Nationwide! Don't forget to use the hashtag #thesmstoreyearendsale when tweeting or instagraming your shopping experience! GMA Films’ official entry to the 2012 Metro Manila Film Festival, “Sosy Problems,” opened in nationwide theatres (December 25) along with the rest of the entries in the annual festival. Directed by Andoy Ranay, the comedy film stars Heart Evangelista, Solenn Heussaff, Bianca King and Rhian Ramos with Aljur Abrenica. Also starring in the movie are Mikael Daez as Santi, Alden Richards as Iñigo, classy character actress Cherie Gil as Martina, Mylene Dizon as Bernice, Mikey Bustos as Denmark, Tim Yap as Jamie Yap, Agot Isidro as Glory, Maritoni Fernandez as Dada, Johnny Revilla as Gabriel, Ricky Davao as Sebastian, Nova Villa as Lola Patria, Barbie Forteza as Becca, Kristoffer Martin as Israel with the special participation of Ruffa Gutierrez as Luca. The magic continues with another installment of the Enteng Kabisote and Agimat franchise which have been a tradition that Bossing Vic Sotto and Sen. Bong Revilla should not be left out in the festival. With these movies considered to be guaranteed blockbuster hits, There is still ways to spin off the stories and even have new ones. Si Agimat, Si Enteng Kabisote at si AKO is made by IMUS PRODUCTION, OCTOARTS FILM, MZET TV and APT ENTERTAINMENT AND GMA FILMS and it is the official entry to the 2012 METRO MANILA FILM FESTIVAL. Story idea by Antonio Y. reyes and Antonio P. Tuviera. Screenplay by Bibeth Orteza ad Jeremy Aven Jacob, DIrected by Tony Y. Reyes, DGPI. 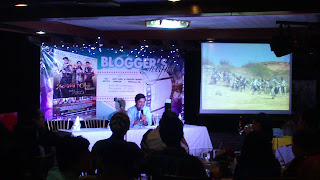 We had a Bloggers' Conference with Bossing Vic Sotto to talk about the movie, unfortuneatly, Judy Ann and Senator Bong were not able to attend due to schedules and legislative duties. The fantasy-action-comedy film "Si Agimat, Si Enteng at Si Ako" starring Sen. Bong Revilla, Jr.; Vic Sotto and Ms. Judy Ann Santos showed strong indications of being this year's top grosser in terms of ticket sales in the annual Metro Manila Film Festival (MMFF) as the movie opened nationwide yesterday, December 25. The film is a sequel to the 2010 MMFF top grossing film "Si Agimat at Si Enteng Kabisote," which reaped a gross ticket sales of P31 million on its opening day. "Si Agimat, Si Enteng at Si Ako" is a joint production of GMA Films, Imus Productions, M-Zet Productions, APT Entertainment and Octoarts Films. Meanwhile, GMA Films' solely produced MMFF entry "Sosy Problems" starring Rhian Ramos, Bianca King, Solenn Heussaff and Heart Evangelista proved to be a hit not only among moviegoers but also among citizens online or netizens who discussed the film on the social networking site Facebook and microblogging platform Twitter. 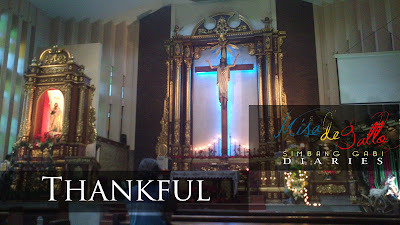 I was thinking with the series of churches I went for the Misa De Gallo are the usual churches I went to, but I was hoping that there would be something new, like the one I had in Trinoma upon disovering the chapel of St. Michael and the Archangels. Still on an event filled day, my last destination for the day was in Luneta where we will check out the Cape Lupe shop near the dancing fountain area. And just in front of the fountain is a stage set up for the Simbang Gabi which will start at 8:30 PM. It was great news because we can have the event and also don't need to go far to attend the mass. And the best part of it is the open air where the air is cool, and the spirit of Christmas can be felt with the number of families and friends going around the biggest urban park in the Philippines. GIFT-GIVING is in the Filipino DNA. Proof of this are the multitude of gifts that get exchanged every Christmas season between family members, friends, co-workers, and classmates. No matter how grand or simple the gift, it’s really the thought and caring behind that gift that matters most to us. In this spirit of gift-giving and sharing, Avida Land, one of the Philippines’ most trusted property developers, is spreading the holiday cheer among our OFWs and their families through an online gifts promo application on its Facebook page, titled, “Avida Pasalubong Project for the Global Pinoy,” which can be accessed at http://apps.facebook.com/avida-pasalubong/. OFWs now have the chance to give free gifts to their families in the Philippines. All they have to do is go to the Avida Facebook page and use the Facebook app especially created for the gift-giving promo. Beginning today, Christmas Day, GMA Films will make moviegoers experience a holiday treat to the ‘sosiest’ level with “Sosy Problems,” its official entry to the 2012 Metro Manila Film Festival (MMFF). “Sosy Problems” is anything but slapstick comedy, although one could dub it as ‘lipstick comedy’ in that aside from titillating the funny bones of fans of comedy films, it will surely whet the appetite of movie viewers who are interested in high life fashion. Just after the "End of the World," which did not really had anything catastropic (Thank God) but actually was a shower of blessings for me when I got of opportunities that gave me things, I though I never had in my life. First, in recent days I recieved several packages in the mail. 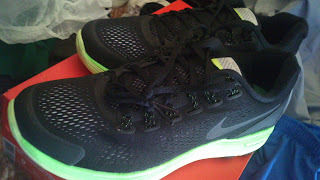 Then I also got gifts like a very nice pair of Nike running shoes which I am very thankful of. I also recently had genrous events that made me feel Christmas is indeed here. It was indeed a busy December 21 for me which also made me miss the anticipated masses, so I would have to do the dawn/early masses. Which I have churches in mind, but have no idea about the schedules. Uh Oh, dilemma brewing. Planning to have bonding time with family and friends? Why not try something different and a little outside the busy Metro Manila but not way too far. And Antipolo comes to mind, there could be some places to go but which has good food, great music and a stunning view all in one. Well all of these can be found in OneA Events Place (Pronounced as O-Ney-Yah) in Sumulong Highway. 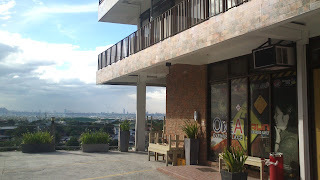 And we had several events held here which we truly enjoyed the venue very mush especially the view of Metro Manila. Just over a year in operation but it has held many events and also is becoming a favorite place for KTV. I am a Chocophile, a chocolate addict. It seems that my day won't go on without a taste of chocolate in my mouth. The reason I am also bubbly and active because of the sugar rush made in each chocolate product. This Christmas, I'm hoping to receive chocolate gifts (please)! There was a quote that says “chocolates are made of cacao beans, and bean is a vegetable and that sugar that makes chocolates sweet came from either sugar cane or sugar beets, and since both are plants they would be in the vegetable category, therefore chocolate is a vegetable.” If this is really true, then hooray goes for those who love chocolates! Again the busy schedules still continues which is one of the things that I fear would be the biggest hindrances to the simbang gabi journey, but I guess that if there is a will there is a way, and also some help from above. 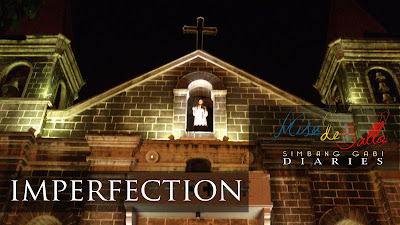 Just like Day 5 I was planning to have the next anticipated simbang gabi at the place where I would go. 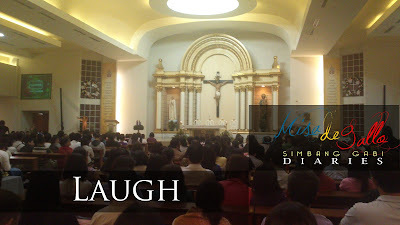 And since I went to an event up at SM North EDSA, I though I would be hearing mass at the nearest churches there. But since it was too early when the event ended, I don't want to spend too much time waiting or might get carried away doing blogs and updates at the customer lounge. So I decided to go to the similar supermall which is much nearer to home. So I took the MRT and got off at Ortigas and yes, it was Megamall. 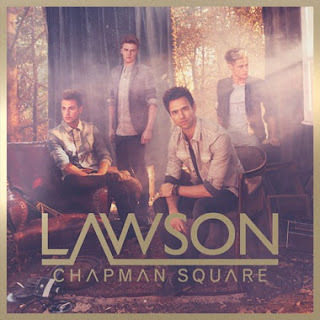 Filipino fans of rising UK band Lawson can look forward to some exciting times come 2013 as the boys from Britain is reportedly visiting Manila in the coming months ahead. Date and venue are not yet finalized. But the quartet already expressed their high anticipation of going to a place they can only describe as "beautiful." In a chat with MCA Music which locally distributes their recorded material, Lawson members Joel Peat and Ryan Fletcher showed their good feeling about the high possibility of reaching the Philippine shores and perform in front of their fast-growing fan base here. Brown recently harmonized with rock icon Sir Paul McCartney and another British giant Robbie Williams for the charity single "He Ain’t Heavy He’s My Brother’ which is dedicated to Liverpool supporters and families still looking for justice after the Hillsborough disaster. This Christmas, all the food and feasting will be especially meaningful as family and friends gather together to celebrate the season—and if food is the way to man’s (and a woman’s, too) heart, then the dining experience will be even more heart-warming when food presentation is made in an appetizing style and an elegant setting. Rossetti offers a wide range of food service products to meet the challenge of giving that heart warming dining experience. 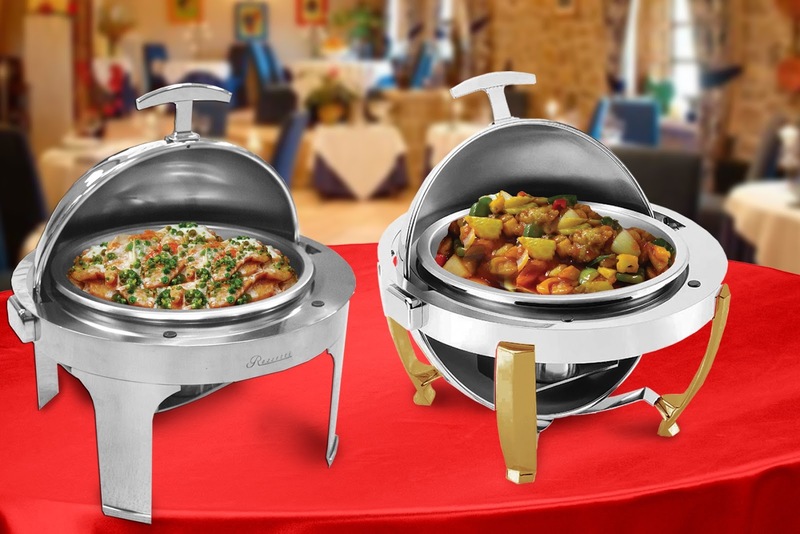 Rossetti is especially recognized for the quality and elegance of its chafing dishes. Wherever the place - whether at home, in a restaurant, or a catering function - Rossetti prides itself in being able to provide various serving and presentation needs. Here is the pocket interview with Solenn Heusaff, Rhian Ramos, and Bianca King held last December 18, 2012 talking about their MMFF movies "Sosy Problems." Note: Heart Evangelista, who is also one of the lead stars of the movie, was not available for the pocket interview because she was dubbing her dialogues in the film. Q: What are your characters in the movie? 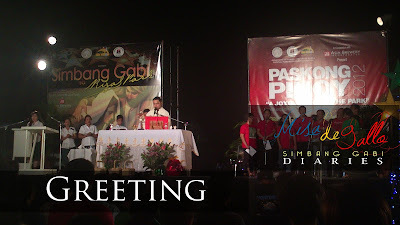 I'm now midway on the Misa De Gallo experience and still on a roll and now after an event in Cubao, I was planning to do the Simbang Gabi near the area, however the schedules I got starts at 630PM in which the event ended at 7PM. So I was thinking of churches where I would go to that would have an anticipated mass at 8 or 9 PM. With still minutes passed and thinking of considering a number of churches I took the MRT going southbound and still have not yet decided. On board the train, the church I will go to depends on the station I will get off. And I got off at Ayala Station which means I plan to go to the Greenbelt Chapel but not yet sure if the mass will start at 8 or 9. You’ve seen the trailer, Bruce Willis as John McClane is being warned not to make a mess in Moscow where he sets foot the first time. 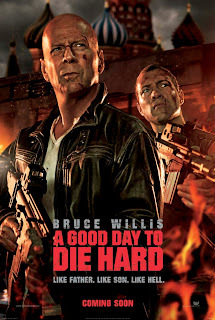 But Willis is back like hell in the 5th installment of the blockbuster franchise “Die Hard” films - “A Good Day To Die Hard” co-starring Jai Courtney as his son, John McClane Jr.
20th Century Fox reveals the badass poster of “A Good Day To Die Hard” with father and son ready to shoot in the midst of a burning Masjid structure in the heart of Moscow. “Iconoclastic, take-no-prisoners cop John McClane, for the first time, finds himself on foreign soil after traveling to Moscow to help his wayward son Jack ­– unaware that Jack is really a highly-trained CIA operative out to stop a nuclear weapons heist. With the Russian underworld in pursuit, and battling a countdown to war, the two McClanes discover that their opposing methods make them unstoppable heroes. 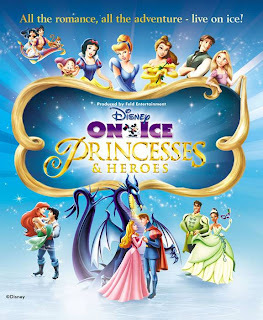 Win Disney On Ice Presents Princesses and Heroes Tickets From Araneta Center! Kids and kids-at-heart I know that you are excited for the biggest Disney event happening at the Smart Araneta Coliseum with Disney On Ice Presents Princesses and Heroes! See you favorite characters come alive and do amazing stunts and slides on ice starting on Christmas Day! And the most exciting thing is Araneta Center is giving away tickets to the show! GMA-7 gives away millions of pesos this Christmas! With Christmas being just around the corner, GMA-7 is about to make three more Kapuso viewers a million pesos richer to complete the list of seven Kapuso millionaires thru its promo campaign Kapuso Milyonaryo Sa Pasko! 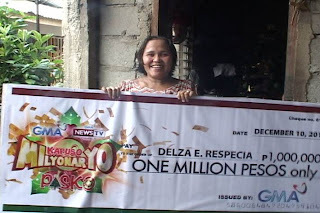 Since it was launched on October 29, Kapuso Milyonaryo Sa Pasko has already given away one million pesos each to four lucky viewers coming from different parts of the country: Nabob Joy Dialangan from Cebu, Anita Linda Lampa from Tarlac, Verna Pedrigon from Manila, and Delza Respecia from Cagayan de Oro. 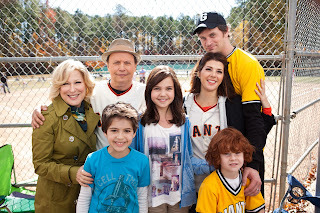 STEPPING UP THE GRANDPARENTS’ GAME IN “PARENTAL GUIDANCE"
Comedy icons Billy Crystal and Bette Midler star in the family-centric comedy “Parental Guidance” together with Marisa Tomei, Tom Everett Scott, Bailee Madison, Joshua Rush and Kylie Harrison Breitkopf directed by Andy Fickman. A comedic and emotionally rich depiction of the clashing parenting styles between the generations, “Parental Guidance’s” subject matter, characters and actors are relatable to all audiences. Youngsters will enjoy the hijinks of the family’s trio of children; the film’s theme of being caught between your parents and kids will resonate with adults; and the movie is the first comedy in many years that shows grandparents as active, funny, involved and vital characters – and central to modern family life. 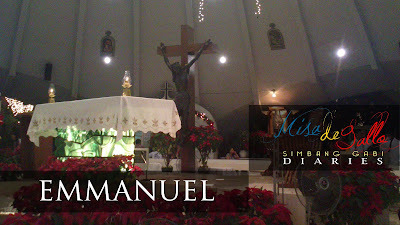 The fourth day of Misa De Gallo was simple yet a unique one as I went back in attending morning masses at 4AM meaning that I have not slept again doing blog posts and checking on emails before heading out for the Simbang Gabi and I chose to go to the nearest church in my area which is San Felipe Neri Parish. I Have to admit that I am not a usual parishioner here because of the schedules that would bring me to farther places where I would usually attend mass. Though the parish has very interesting history which dates back to the Spanish era. If you would remember that on the second day, we did not make it to the 4AM mass and transferred to another one, this time I made sure that I would attend it and also do a little exercise. To clear speculations, the so called "end of the world" date has nothing to do with the phenomenal Korean superstar Psy which was scheduled to have a concert on December 20, 2012 at the SM Mall of Asia Concert Grounds. 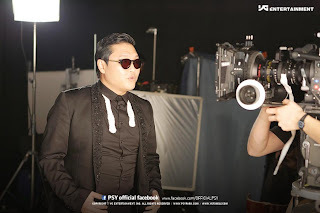 The Gangnam Show: Psy Live in Manila is rescheduled to February of 2013 due to logistical issues. The concert features Psy plus many local acts like Anne Curtis, Vhong Navarro, Chocoleit, Pokwang, Pooh, K Brosas, Wally Bayola and Jose Manalo, Ate Gay and Ms. Ai Ai Delas-Alas that will make it a big Gangnam style party. However due to this reason, we may have to wait until next year to have that big dancing party here, but rest assured that Psy will be here and ready to rock Manila. 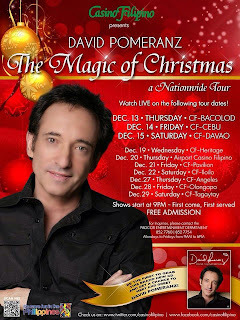 Every Filipino loves embracing the magic of love, and international multi-platinum singer-songwriter David Pomeranz knows this by heart. This affinity with the Filipino people was highlighted in a string of special Holiday shows billed "The Magic of Christmas,” which kicked off at Casino Filipino Bacolod on Dec. 13. He also performed to multitude of fans at the Casino Filipino branches of Cebu (Dec. 14), Davao (Dec. 15). He will take the concert tour at the Heritage on Dec. 19, Airport Casino Filipino on Dec. 20, Pavilion on Dec. 21, Iloilo on Dec. 22, Angeles on Dec. 27, Olongapo on Dec. 28 and Tagaytay on Dec. 29. Regarded as one of the most successful songwriters and recording artists in the international music scene, David’s songs have sold over 35 million copies worldwide and his musical projects have earned him a total of 18 Gold and Platinum records with hits "Got To Believe In Magic" and "King And Queen Of Hearts."